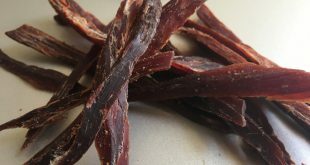 Jerky doesn’t always need to made from beef. There so many other meets you can use. 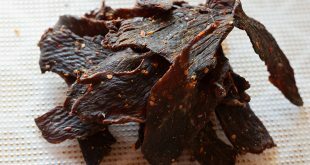 This shows sou an easy way how to make jerky from chicken. 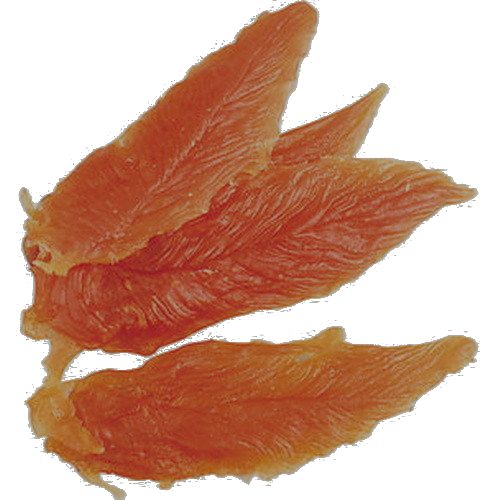 Chicken jerky is full of protein and have a completely different taste than beef. This recipe is perfect for a first start to test. 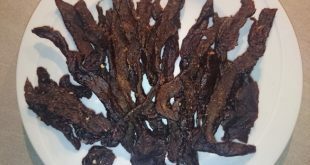 Simply easy chicken jerky with a soft taste of smooth sweetness. Just simple. The meet has to be as fresh as possible. To avoid salmonellae take very fresh meet and use it instantly. We also recommend using handcloves while mixing it. Mix all ingredients together. If you want more spiciness add more chilli flakes. If you prefer a stronger taste just ad some more soy sauce. Cut your chicken breast in long slices. Shouldn’t be thicker then 1 cm. Take sure you remove all fat strings. Place slices in you marinade. Mix it well and let it marinate for 4 hours. Remove it from the marinade. Don’t use the marinade twice! 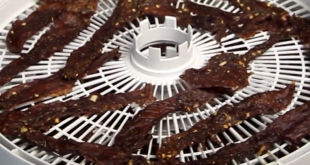 try the meet-slices with papertowels and place it in your dehydrator. Dehydrate it regarding to user manual. If you want to use an oven preheat it up to 60-80 degress for approx 7 hours, depending from the thickness. Can be longer. The chicken pieces need to be very dry. If it still feels slight juicy you need to keep going. In room temperature you can store your chicken jerky up to two weeks. Do you want it last longer? Freeze it.